Full featured all in one cash book software. 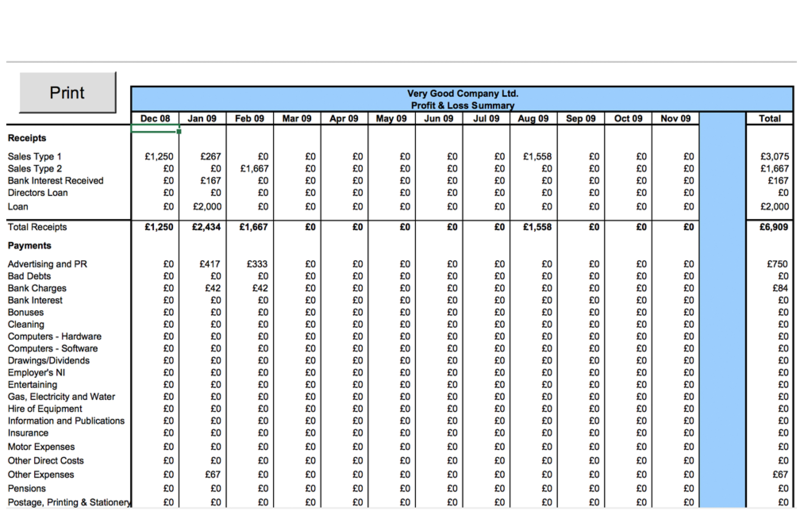 Get your profit and loss under complete control using the flexible profit and loss sheet. Easy to enter data and you can change your own headers too. All calculations update instantly giving you the best insight into your cash flow activity. 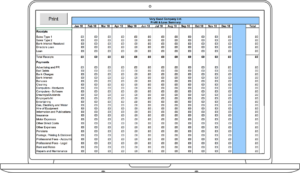 Cash In sheet shows a summarised outlook on all cash running through your business operations. 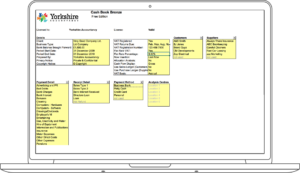 Everything is summarised using data collected in the Cash Book Pro system. 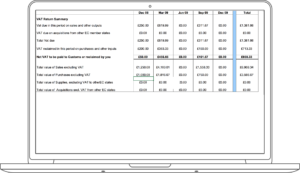 Cash out sheet shows a summarised outlook on all cash running through your business operations. 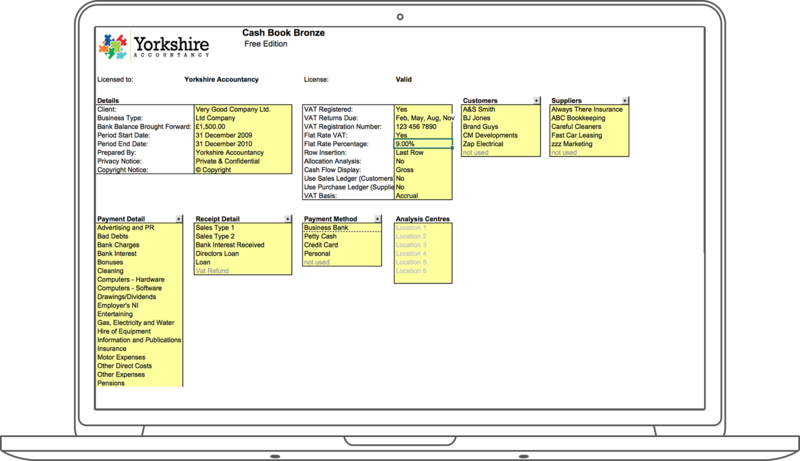 Everything is summarised using data collected in the Cash Book Pro system. 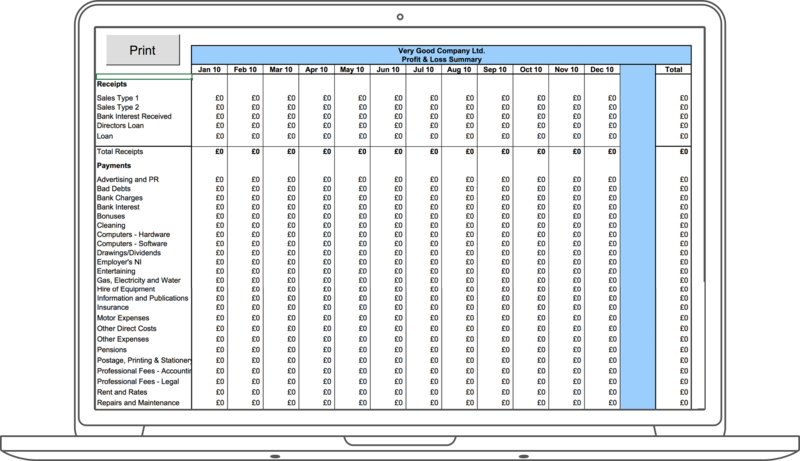 Calculate your VAT returns using the simple VAT sheet. Working out and submitting your VAT returns has never been so easy for the small business! This is wear everything is setup. Choose your own income and expenses headings, as many as you need. 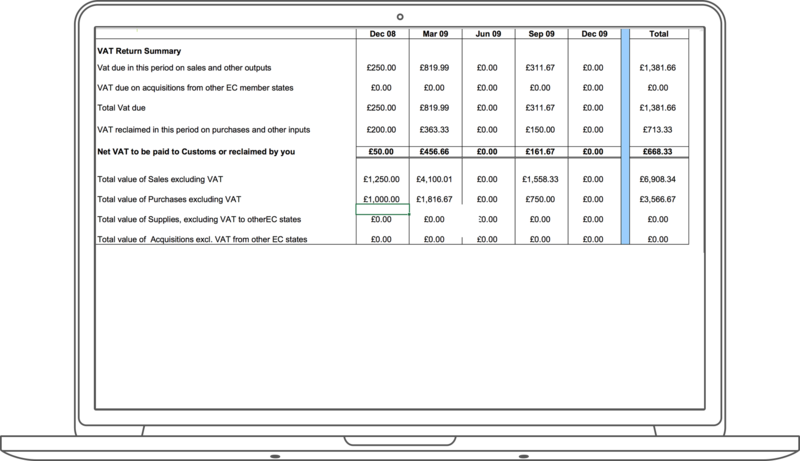 Choose different VAT methods and set up your year ends, plus much more. 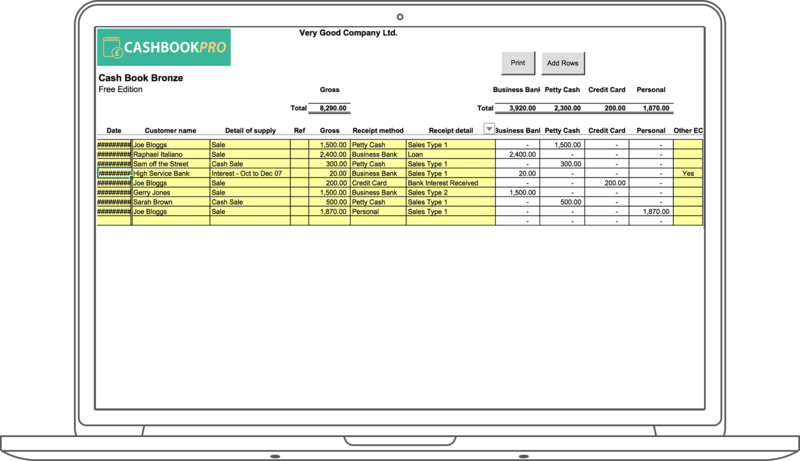 Cash Book Pro is an Excel based accountancy software. Data entry is simplified and instant. Organise all of your expenses in a clear and concise way so you never lose track of your cash flow. Simple and instant reporting. 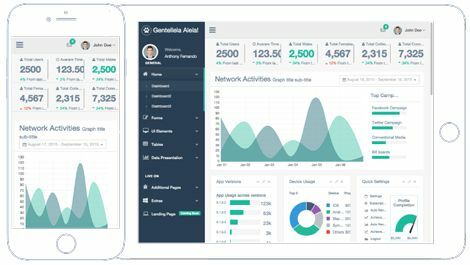 See results in real time with all reports calculated for you. All you need is a copy of any Excel software and Cash Book Pro will run perfectly, no need for 3rd party software. 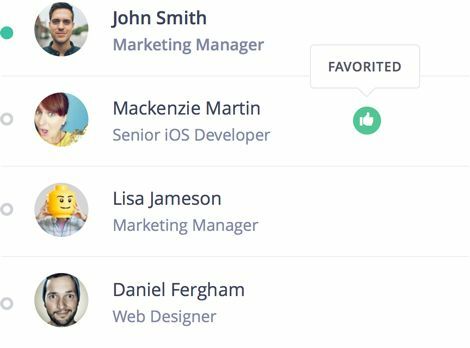 Choose your headings from data entry or use our default ones to help get you started. Support documents and friendly help from our team. Just visit the docs page or open a support ticket for help. Thank you. 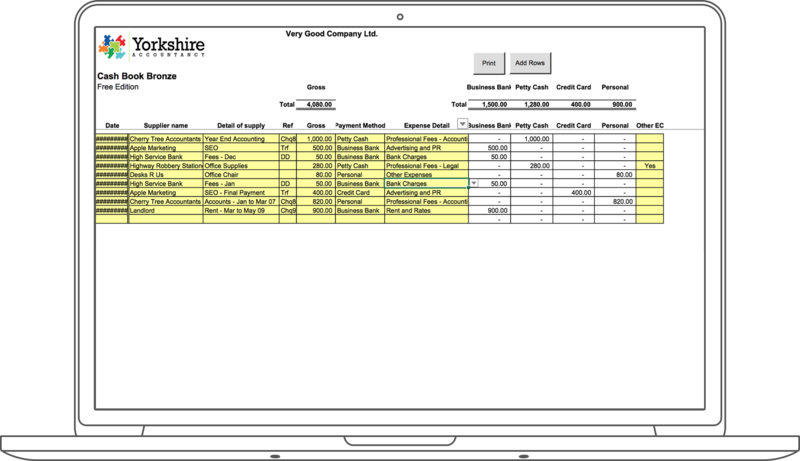 A brilliant bit of software making accounts a lot easier for the small business owner.